Home › Energy-Efficient LED Lighting › Usb Rechargeable Bike Lights | Front Or Rear Led With 4 Solid & Flashing Mode..
Usb Rechargeable Bike Lights | Front Or Rear Led With 4 Solid & Flashing Mode.. SAVES BATTERIES & ENVIRONMENT: The convenient USB charger lets you power up these bicycle lights hundreds of times without constantly buying new & disposing of batteries. 5 MODES FOR OPTIMAL SAFETY: With the push of just 1 button, you can cycle through bright solid, dim solid, flashing, fast blinking and SOS. White = 40 lumens, Red = 20 lumens. MOUNTS / UNMOUNTS on ANY Bike in 10 Seconds: The universal strap simply wraps around any bike handlebar and snaps into place. Take it with you using the built-in belt hook. LIFETIME GUARANTEE: If at any time your bicycle lights should fail under normal use, please return them directly to us for full replacement. 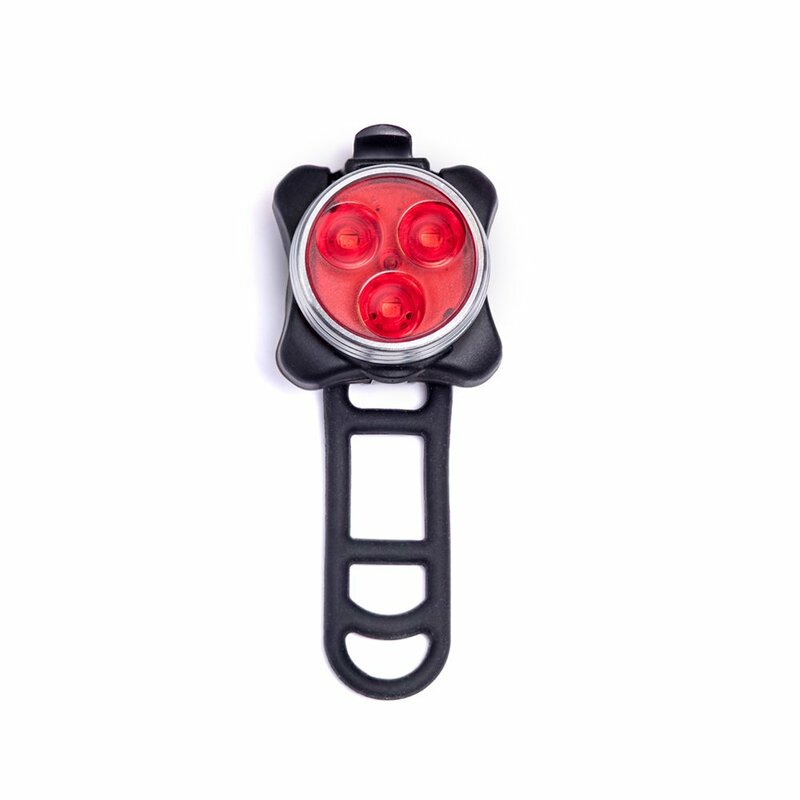 This multipurpose bike light provides superior protection for road or mountainbikers, kids and even runners. Universally mounts to any bike in seconds &offers 5 levels of illumination / flashing. Taking the kids through theneighborhood at dusk? Hitting the trails at dawn? Caught in an unexpected fog?Reflective bike lights have been a standard accessory for decades because ofthe level of safety they provide. Now that old-fashioned reflector has gottena serious upgrade! This small yet bright LED bike light gives you and yourfamily the protection you need whether cruising down a crowded paved road orenjoying nature in the wilderness. Choose white for the front headlight or redfor the rear taillight. Not intended to help you see the road, but to Make YouVisible to cars and other bicyclists. Regardless of the color, each lightprovides 5 levels of illumination: • bright solid • dim solid • flashing •fast blinking • SOS What's Inside the Package: • Your choice of EITHER one red(20 lumens) taillight for rear OR one white (40 lumens) headlight for front •Universal mounting strap for quick connection / removal • USB charging cable •Built-in belt hook lets you easily attach the light to your waistband or theneck opening of your shirt for added safety as you run/walk. Looking for giftsfor cyclists, athletes, runners, walkers or other exercise enthusiasts? TheShining Buddy rechargeable LED bike light will show them how much you care.Order one in each color today!